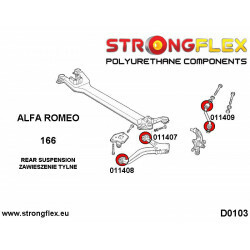 Passat B5 96-05 4motion There are 30 products. 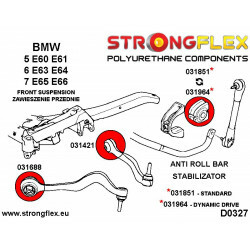 ref: 226209A Material: POLYURETHANE (PUR/PU) Hardness: 90ShA Pcs/prod: 34 Required/car: 1 To every product we add grease! 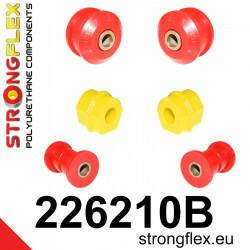 ref: 226209B Material: POLYURETHANE (PUR/PU) Hardness: 80/90ShA Pcs/prod: 34 Required/car: 1 To every product we add grease! 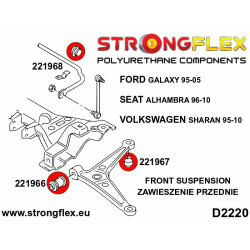 ref: 226208A Material: POLYURETHANE (PUR/PU) Hardness: 90ShA Pcs/prod: 22 Required/car: 1 To every product we add grease! 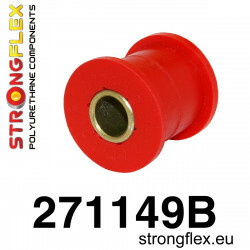 ref: 226208B Material: POLYURETHANE (PUR/PU) Hardness: 80ShA Pcs/prod: 22 Required/car: 1 To every product we add grease! 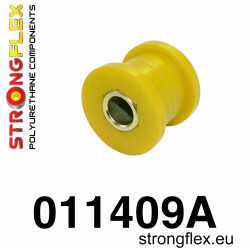 ref: 221754A Material: POLYURETHANE (PUR/PU) Hardness: 90ShA Pcs/prod: 1 Required/car: 4 To every product we add grease! 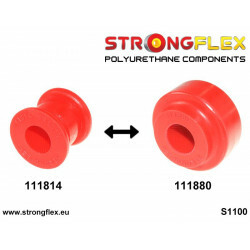 ref: 221755A Material: POLYURETHANE (PUR/PU) Hardness: 90ShA Pcs/prod: 1 Required/car: 2 To every product we add grease! 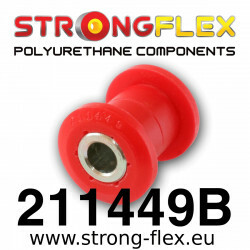 ref: 221756A Material: POLYURETHANE (PUR/PU) Hardness: 90ShA Pcs/prod: 1 Required/car: 2 To every product we add grease! 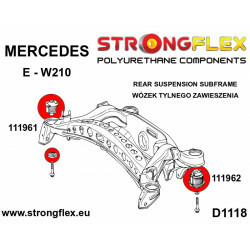 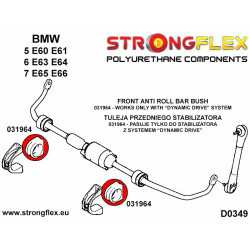 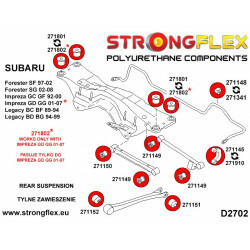 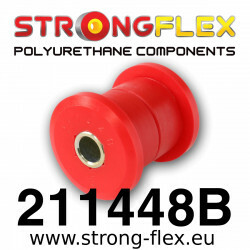 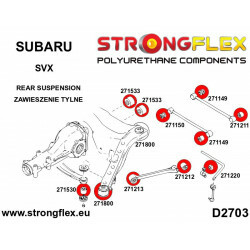 ref: 221756B Material: POLYURETHANE (PUR/PU) Hardness: 80ShA Pcs/prod: 1 Required/car: 2 To every product we add grease! 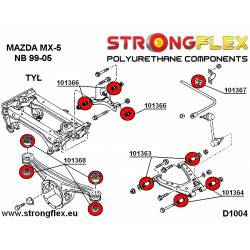 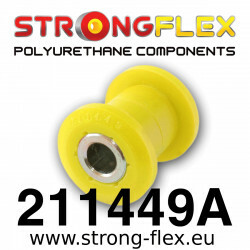 ref: 221757A Material: POLYURETHANE (PUR/PU) Hardness: 90ShA Pcs/prod: 1 Required/car: 2 To every product we add grease! 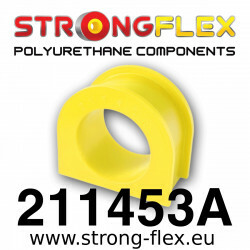 ref: 221758A Material: POLYURETHANE (PUR/PU) Hardness: 90ShA Pcs/prod: 1 Required/car: 2 To every product we add grease! 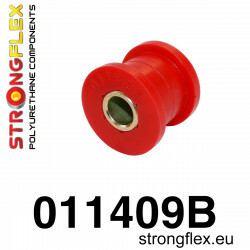 ref: 221759A Material: POLYURETHANE (PUR/PU) Hardness: 90ShA Pcs/prod: 1 Required/car: 4 To every product we add grease! 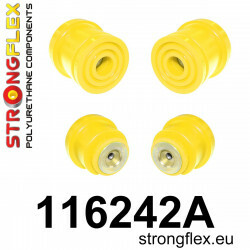 ref: 221760A Material: POLYURETHANE (PUR/PU) Hardness: 90ShA Pcs/prod: 4 Required/car: 1 To every product we add grease! 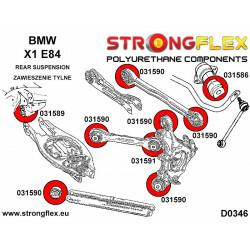 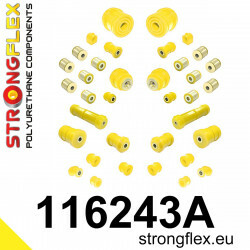 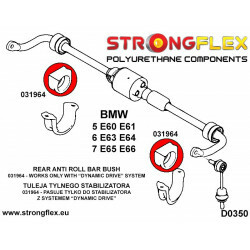 ref: 221760B Material: POLYURETHANE (PUR/PU) Hardness: 80ShA Pcs/prod: 4 Required/car: 1 To every product we add grease! 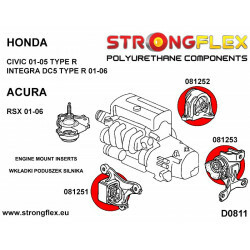 ref: 021924A Material: POLYURETHANE (PUR/PU) Hardness 90ShA Pcs/prod: 1 Required/car: 1 To every product we add grease! 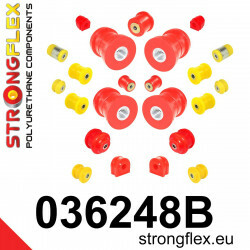 ref: 021924B Material: POLYURETHANE (PUR/PU) Hardness 80ShA Pcs/prod: 1 Required/car: 1 To every product we add grease! 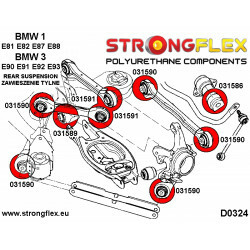 ref: 021925A Material: POLYURETHANE (PUR/PU) Hardness 90ShA Pcs/prod: 1 Required/car: 2 To every product we add grease! 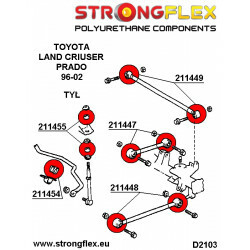 ref: 021925B Material: POLYURETHANE (PUR/PU) Hardness 80ShA Pcs/prod: 1 Required/car: 2 To every product we add grease!